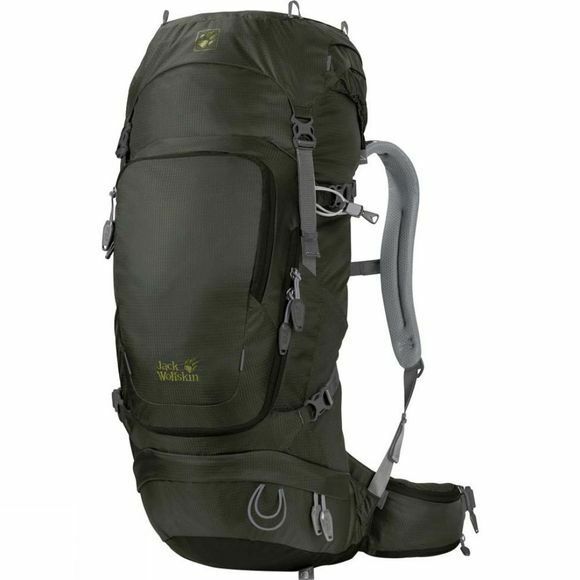 If you like to take a little more than just the bare essentials with you on a hike, the Orbit 34 Rucksack is the right pack for you. Stow your down jacket, food and other larger items in the main compartment. There is also space for a water bladder in there. Small items can be stowed in the lid compartment or front pocket. And there are practical zipped pockets on the waist belt for your energy bars and anything else you need to keep close to hand. When you're hiking on rough trails, steep paths or in warm summer weather, the Orbit packs provide the perfect combination of comfort, mobility and advanced back ventilation. For optimal load control and carry comfort, the mesh panels of the ACS back system feature different zones for stabilisation and ventilation. So the pack gives a snug, secure carry and your back doesn't sweat too much.